Slap on the grease paint, hoick up your skirt and channel your inner Princess Margaret. 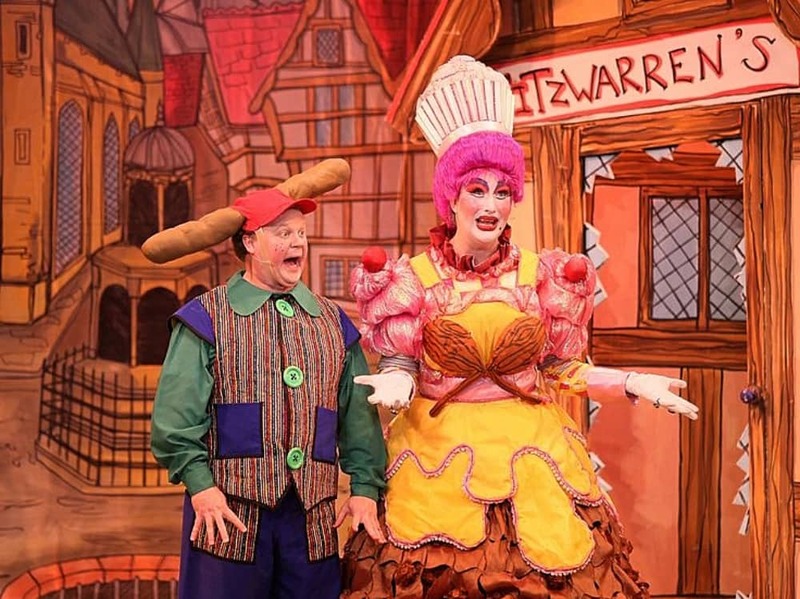 Muddy meets Reading's irrepressible panto dame Paul Morse. When you’re sharing the panto spotlight with Cbeebies mega star Justin Fletcher, you run the risk of being overshadowed by Mr Tumble and his army of overexcited ankle biters. 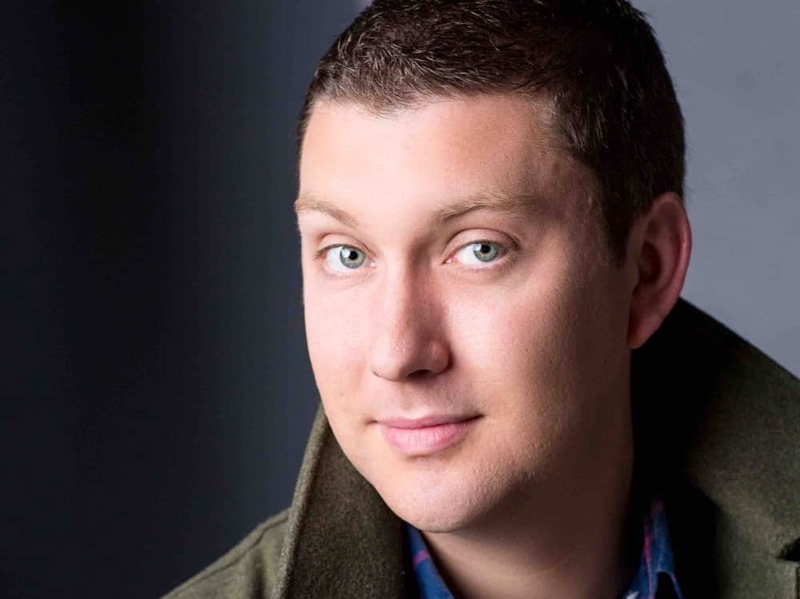 But au contraire, mon ami, multi-award-winning dame Paul Morse is now in his 4th year opposite Justin at The Hexagon Theatre in Reading and the only person casting a shadow is Paul – he’s a whopping 7ft in heels. Paul will take to the stage this year as Widow Twankey in Aladdin and he’s a leggy panto force to be reckoned with. 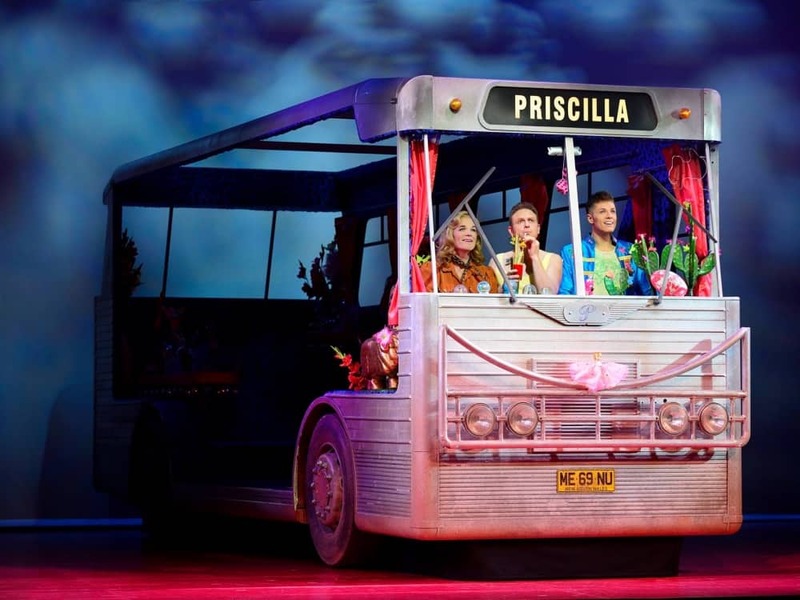 He plays the ‘man in a dress’ role with, dare I say it sass and glamour – wearing just decent mini skirts, sporting a fine pair of pins, vertiginous heels and the comic timing of the greats. Who taught you to walk in heels? I should say my dad, but he’ll kill me. I actually learned how to walk in heels at drama school. Panto is such a big earner for actors, we had panto classes. I never imagined I would become a Dame. I had my eye on the Buttons role, but the teachers said I was one of the best dames they’d ever had. I never wear stilettos though, they’re an absolute killer. I love Aladdin. This is the third time I have played Window Twankey. But Jack and the Beanstalk is is fun to perform too. Pantos are history plays and go way back to teach morals. The villain wants the handsome lead to marry the ugly man woman. They’re all good fun really. Did you alway want to be a dame? I trained classically for 15 years and did a lot of Shakespeare and farce. Then I did a stint playing Alan, the Richard Beckinsale role, in the stage production of Rising Damp. In 2005 I won Panto Idol – a live show on ITV Meridian that was like The X Factor for panto; and went on to win Best Dame two years’ on the trot in 2015 and 2016. I love the end of the pier seaside humour, breaking the fourth wall and speaking directly to the audience. 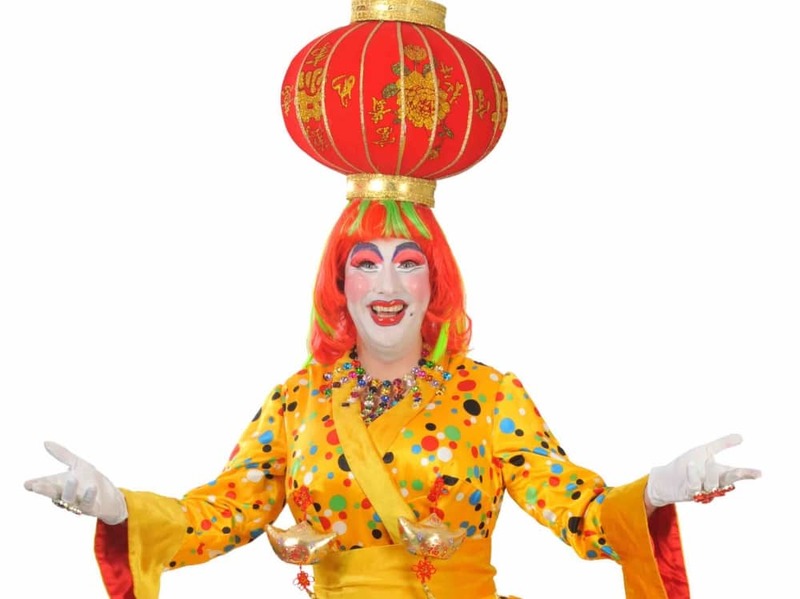 Many pantos are now casting drag acts to be dames these days, but I’m very much a man in a dress in the mould of the late greats John Inman, Arthur Askey, Les Dawson, Ken Dodd, Frankie Howard. Well, when I’m not acting. I’m a funeral director! I wanted the security of owning my own home, but the unpredictability of acting work won’t get you a mortgage. I needed a job that would pay the bills but had flexibility to continue acting. Funeral directing is it. And yes I have been recognised by the families during a funeral. I was back up driver for oil tankers. We’d stop at trucker cafes at 3am and I would be ordering a tuna salad sarnie while the others were grabbing burgers. They were so mortified, they used to make me wait in the lorry. What’s you most outlandish dressing room demand? OK, so I do like to have a particular sofa at Reading. So I always ask if ‘my sofa’ to be put in my dressing room. Doing two shows a day with all the costume changes is exhausting, so I like to have an afternoon nap. I’m 6ft 2ins tall, 7ft in heels and this sofa is perfect for that. I’m very lucky to be sent lots of lovely flowers from well wishers, many of whom I don’t even know. To be honest, my dressing room often looks like a chapel of rest, so I feel right at home. I always have a photograph of Princess Margaret on my dressing room door. She is the sassiest, naughtiest royal ever. I summon her spirit and curtsey to the picture before each performance. I also like to be dressed and ready way before curtain up, hear the orchestra warming up and have a good wee. I have so many layers on, that bit’s essential. A-Lad-In a dress… Paul plays washer woman Widow Twankey opposite Justin in this year’s Reading panto, Aladdin. In March I meet with the designers and go through the costume options. We’ll discuss what changes need to be made to make it right for the show. There are two types of Dame: frumpy and glam. I am a glam boy in a dress. Give me feathers, bling, colour and the chance to show off my legs before it all starts sagging and dragging. Hardest things about panto season? Its just very tiring – 13 costumes. 26 changes a day. Swapping full wigs, outfits and jewellery. I have one dresser with me the whole time, two when there’s a quick change. The quickest I have done is 23 seconds. I have on occasions gone on stage with my dress undone and had to keep my back to hidden from the audience. You also always worry you’ll get ill. I’m very conscious that everyone’s paid for a ticket. In some cases, this is there one big night out for the whole year. So you don’t want to let anyone down. I drink lots of water, honey and lemon and get lots of sleep. My party days are well and truly. White wine, Sauvignon. I never drink before a show but there’s always a large glass sunk afterwards. The Queen, Edna Everidge, Henry VIII, George V, Queen Mary. As you can tell, I am a royalist and I love history. I performed Oh What A Lovely War which is set in World War One, and I am, to this day, fascinated by that era. Not getting something you audition for. I was up for a Channel 5 soap, years ago – Family Affairs, and didn’t get. God, I would have loved to landed a TV job. The role you were born to play? Precilla Queen of the Desert. I went four times to heckle them. I could understudy for them all. When did you last laugh, and why? I laugh every day at something. I get hooked into YouTube videos of dogs and cats ands that can tickle for me quite a while. More money. That’s why I’m a washer woman. It’s tough out there. Helping people – and I get to do it through acting and funerals. Panto is a great release for people to escape for 2.5 hours. I get a lot of letters from people this is there big thing for them. Funerals give me the opportunity to help families during their hardest time. Julain Clary. Although the two of us sharing a stage would be pretty scary. He’s an absolute star! Get your tickets NOW! I have been the recipient of both Miss Dolly, McPhee, Twankey’s careers and I can tell you Paul Morse made me laugh through both, which is a gift! Jealous of his make up! Panto-tastic! One of the funniest of people I have ever had the pleasure of chatting too, Barbara. Can’t wait for Aladdin. Never tire of watching him preform year after year, Panto after Panto, he steals the stage by his mere presence, love you Paul and can’t wait to see the show this year!